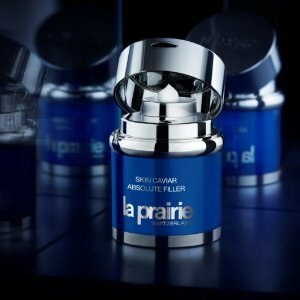 La Prairie.com offer to receive 3-piece Radiance Gift with purchase of $450 or more. This holiday, La Prairie unveil a new chapter in our brand story. La Prairie celebrates the season with “A Tale of Luxury,” highlighting our four rare and precious ingredients from the Platinum, Radiance, Skin Caviar, ad White Caviar Collection. Beyond compare, the Platinum Collection contains one of the Earth’s rarest, most precious resources to help diminish the major visible signs of aging. A total immersion in a world of luxury, the Platinum Rare Collection offers the ultimate rejuvenation experience. A veritable icon, the Skin caviar Collection is the epitome of audacity. A legendary lifting and firming phenomenon, pure caviar- based ingredients help support natural contours, restoring harmony to the face while prodoundly improving the appearance of elasticity and tone. Exceptional brightening and firming benefits are enhanced with golden Caviar Extract for a softly lit effect. Uneven skintone and age spots appear to fake away, leaving skin looking illuminated. The Radiance collection draws its inspiration from pure gold, the very essence of opulence. Rare ingredients reviatlise and perfect skin’s appearance, giving it a refinined texture, tone and luminosity. With the evolution of the collection, La Prairie took inspiration to execution, using pure gold to reignite the skin’s youthful radiance, instantly and infinitely.